This year, Raidió na Life will go on the road once more for a series of live radio shows from the Irish language festival Oireachtas na Samhna 2018. Listeners will have the chance to take part in the live shows which will be held in “The Nest”, from the lobby of the Gleneagle Hotel on Friday 02 November and Saturday 03 November 2018. A special lunchtime show “The Festival Brunch” will air on Friday 02 November from 12.30-2.30 pm. 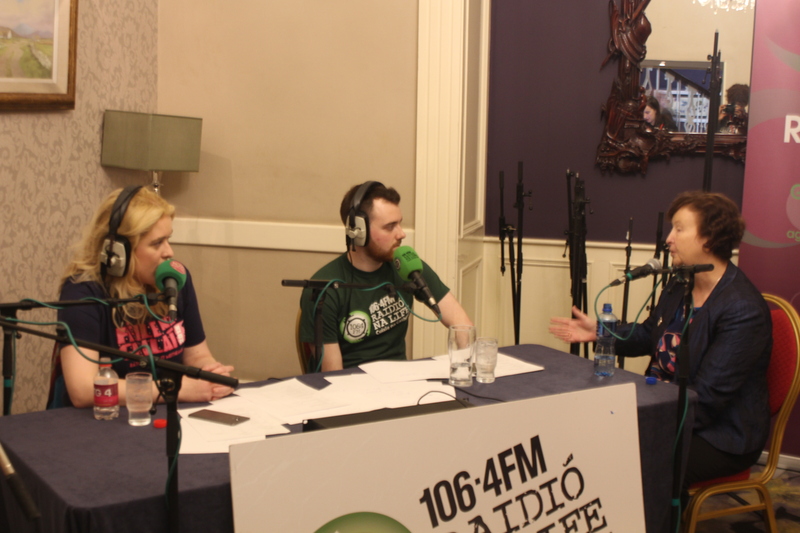 This joint broadcast with Raidió Fáilte will feature interviews from participants in various Oireachtas competitions and events along with the latest news from the festival. On Saturday afternoon 03 November from 12.30-13:30 a special edition of current affairs show, Iarnóin will air, presented by Barra Mac Aodh Bhuí. Join in with all the fun of this year’s Oireachtas na Samhna festival on 106.4FM, online on www.raidionalife.ie and on the app, An Seinnteoir Raidió.